Love was a dancer for 12 years before becoming a pilates instructor. She started in Philippine High School for the Arts and graduated being a recipient of Artistic Excellence Award; and took her final bow with Seven Contemporary Dance Company. After becoming a mom, Love discovered pilates and fell in love with it. In 2012, she trained and got her certification with STOTT Pilates and Pilates Academy International. 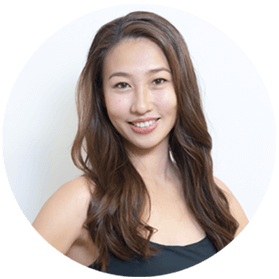 She also is certified in Post Rehabilitation, Core Barre, Core Suspend, Core HIIT and Cardiolates.